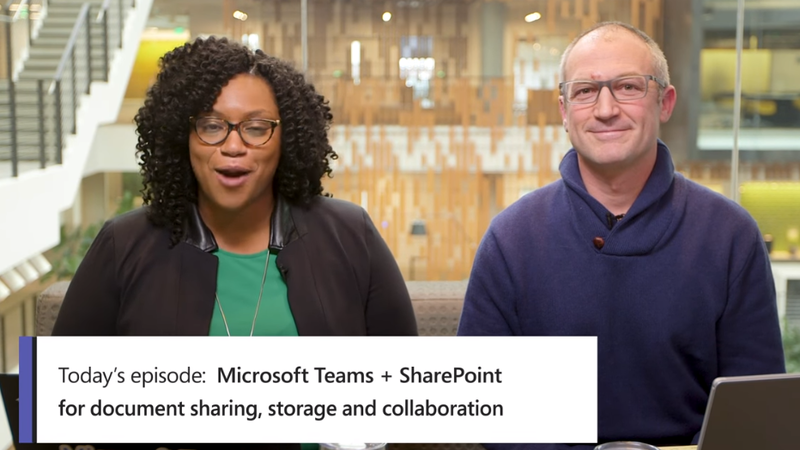 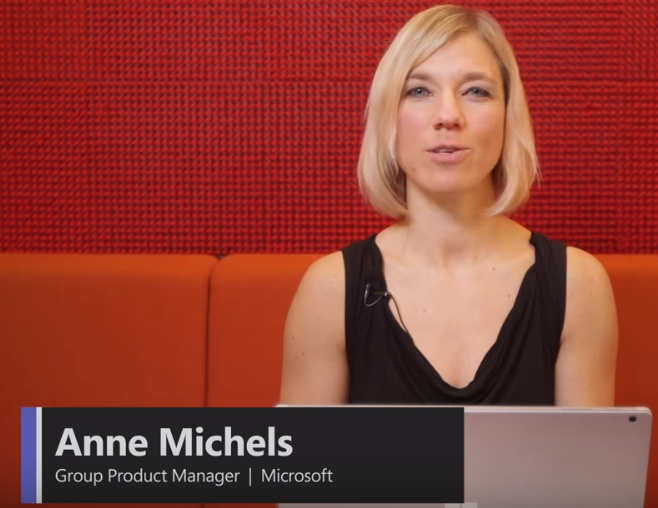 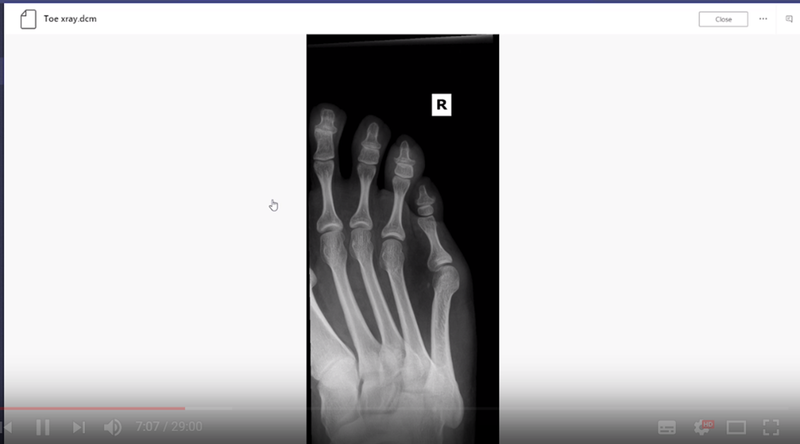 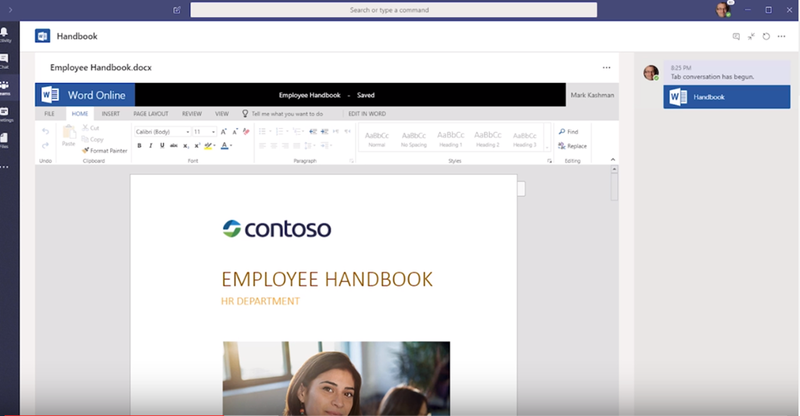 I’ve been catching on the Teams on Air episodes and just managed to watch over the Teams and SharePoint for document sharing, storage and collaboration on youtube. 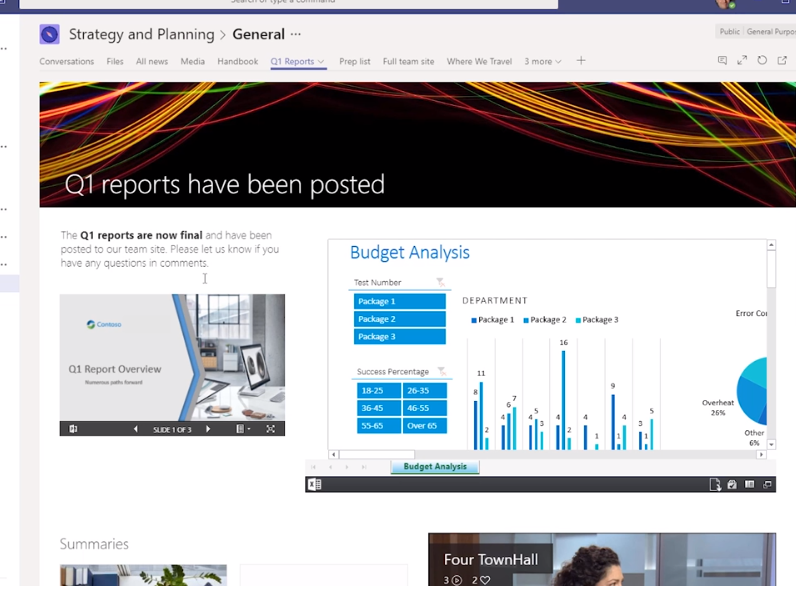 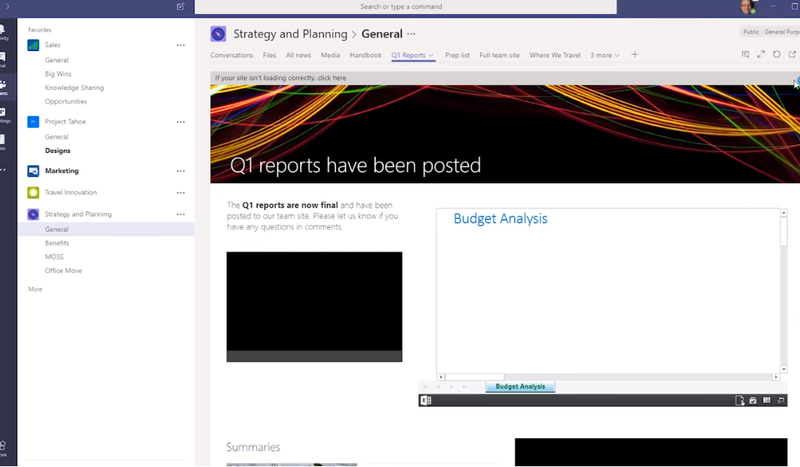 With SharePoint bringing in content i wanted to learn a little more and see whats coming. 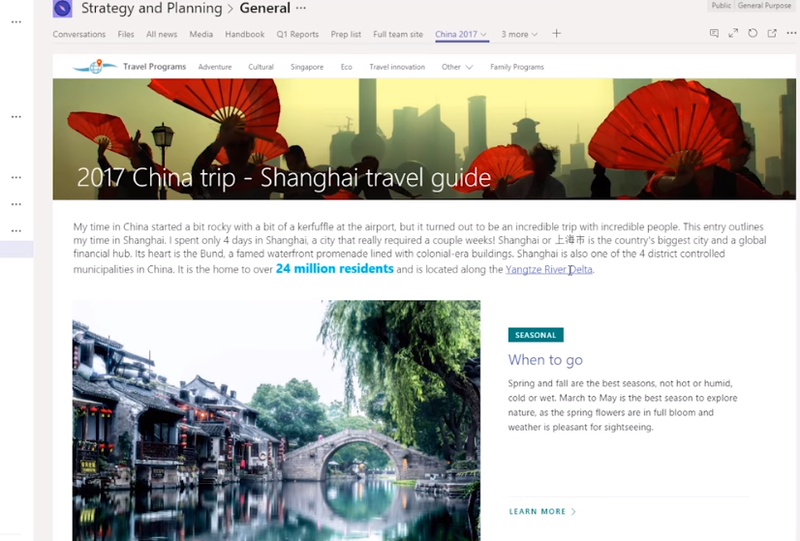 Working with SharePoint for 9 years and before worked in services and built a project for Microsoft built on SharePoint 2007 and before field training. 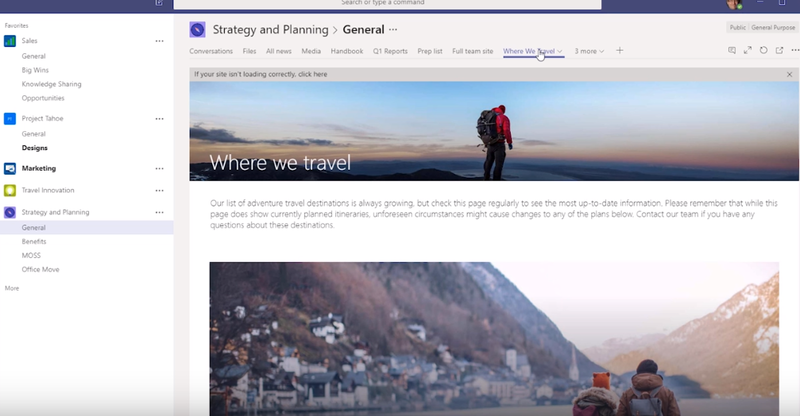 How has SharePoint evolved ? 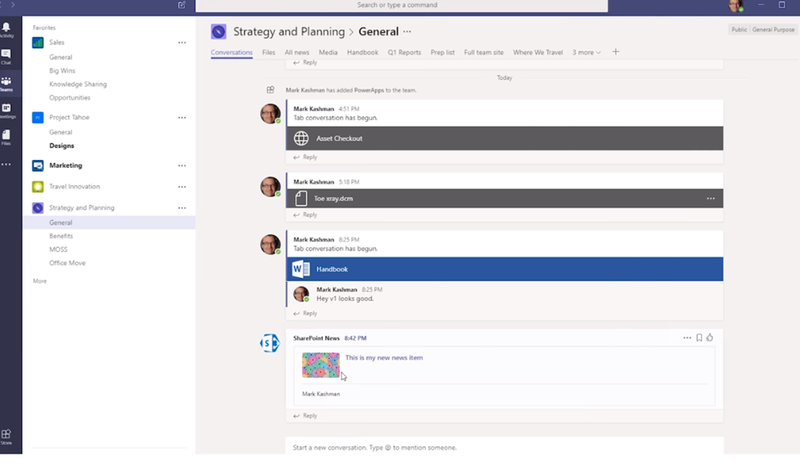 Teams gives a good chat space and content stored and share, co author and version with SharePoint. 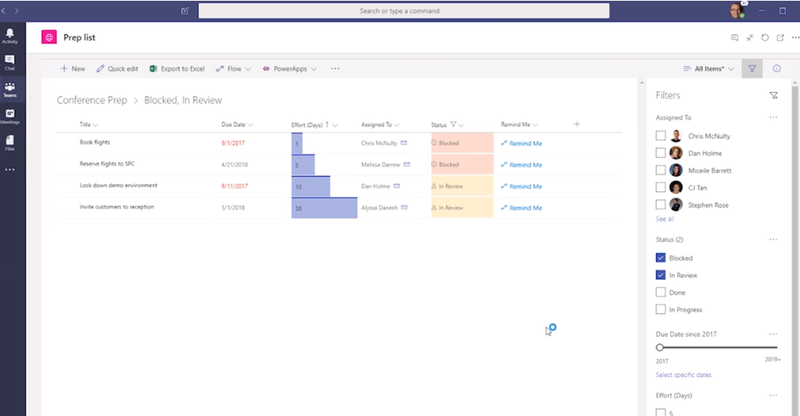 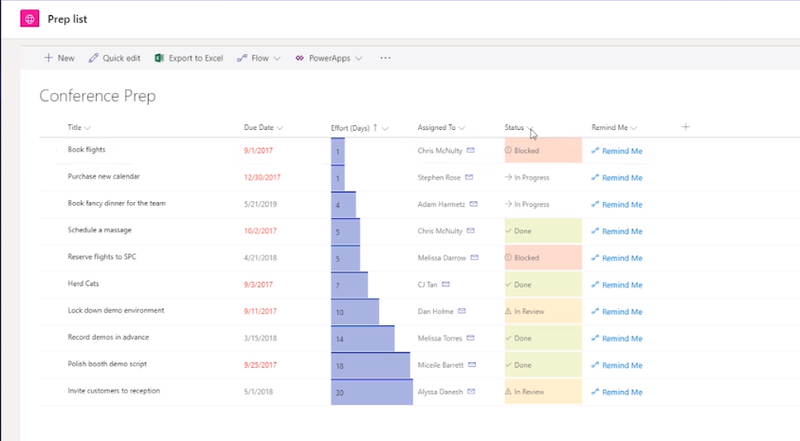 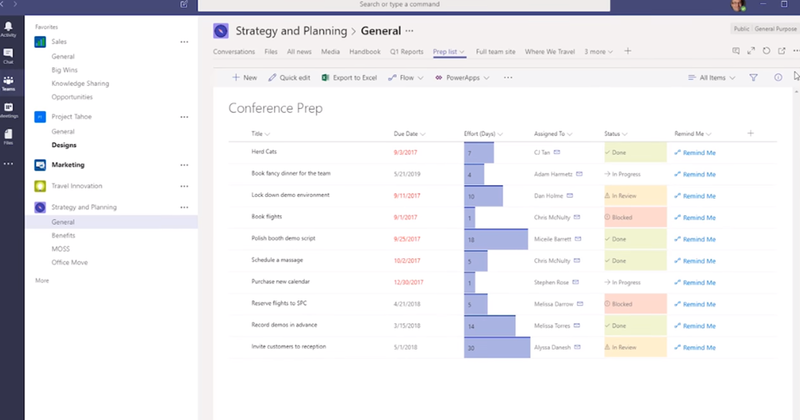 What happens when a Microsoft Teams Channel is created and what happens on back end in SharePoint ? 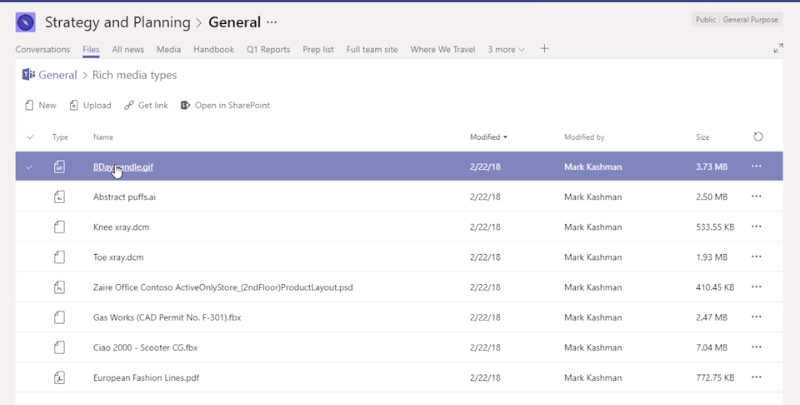 When you create a team in Teams you get a SharePoint teams site and you get default parts of a Team site in SharePoint such as Teams Notebook, default doc library, etc and when you create a new channel in a team its a new folder in default doc library presented as file tab. 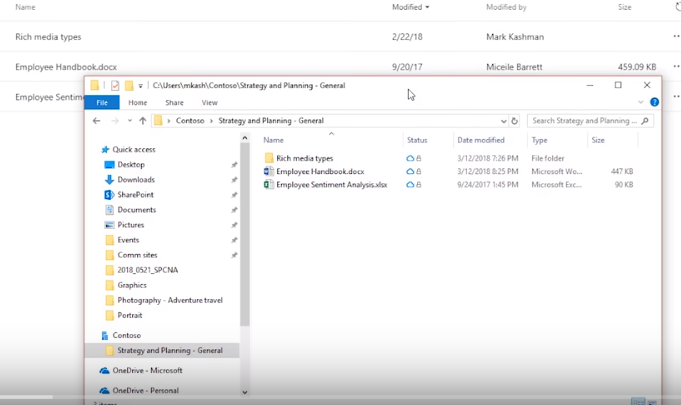 Same content and files available in SharePoint and Teams, its not two sets of files. 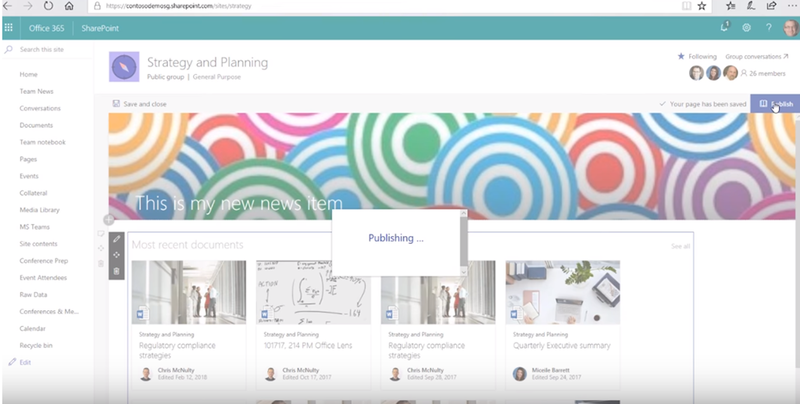 Here the Team have created a new document library for Media within the teams site. 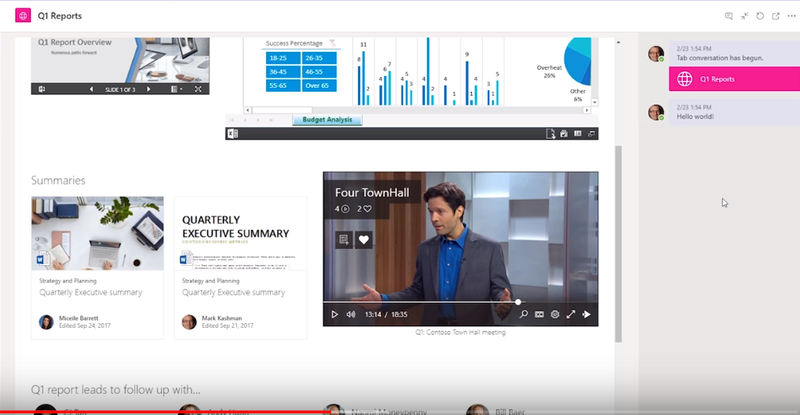 Here’s some SharePoint first features on media types which pulls into Teams as well. 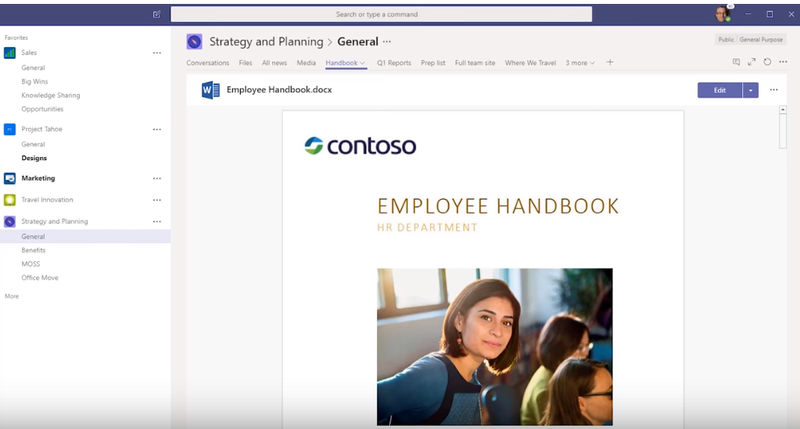 Windows or Mac users can use OneDrive sync client to sync files and most people using them will be in Teams or SharePoint but we can take them offline, its the same set of files and we can take work with me. 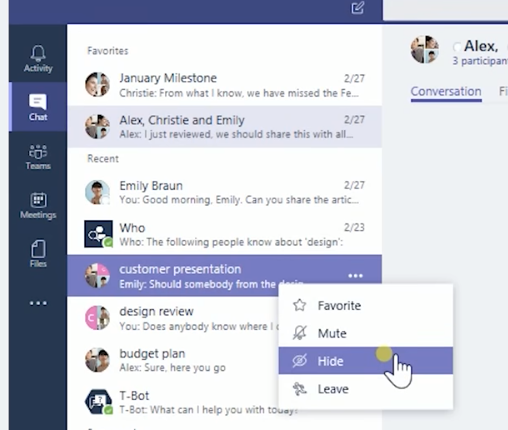 Having offline sync to work on them and upload changes. 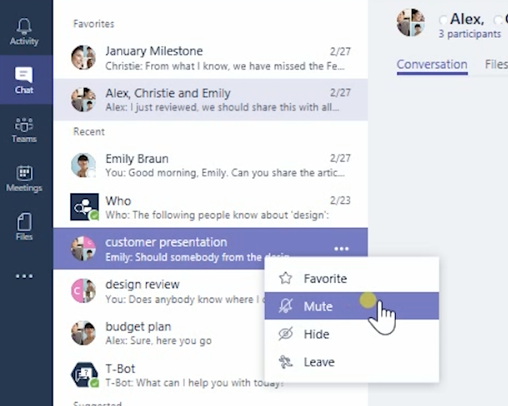 But can also pull into Teams so people can have a conversation about it. 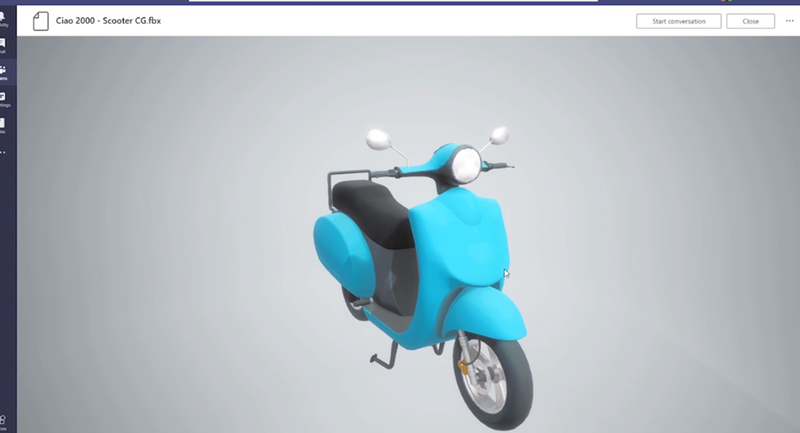 Take a step back and how does the news get there ? 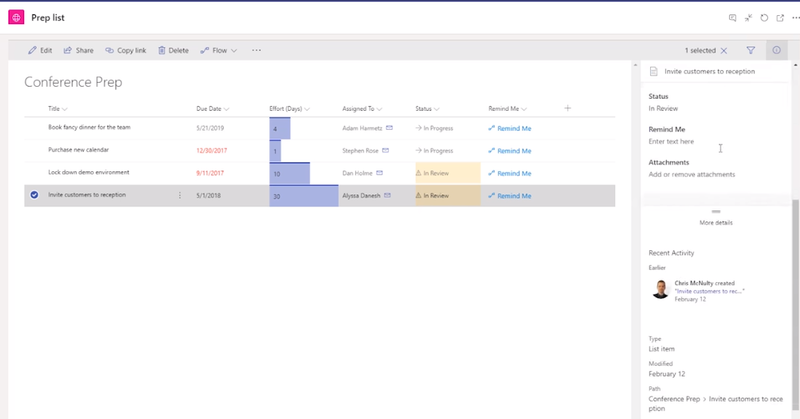 Grab URL of list and add as tab. 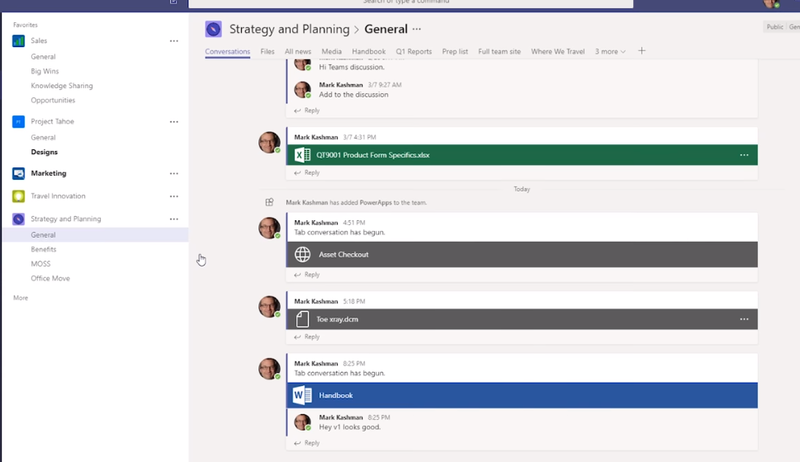 Future of Teams and SharePoint ? 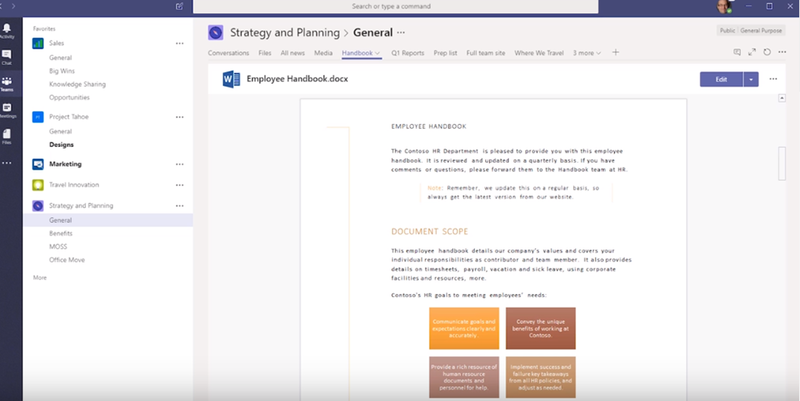 Do i use Teams or SharePoint Teams site? 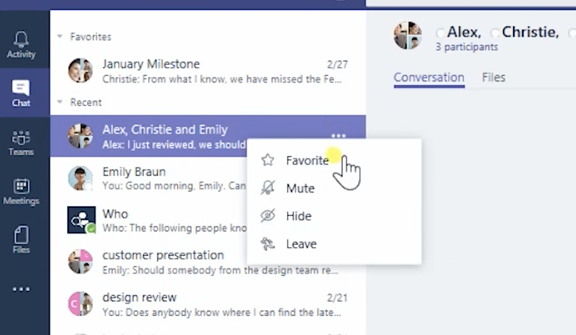 You wont receive notifications for the chat, useful when there’s lots of people in the chat and don’t need to notification for each message. 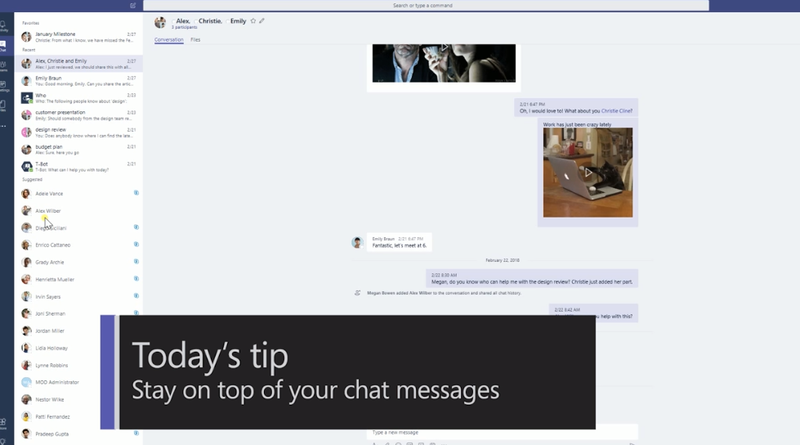 You can still go back into the message and read it.